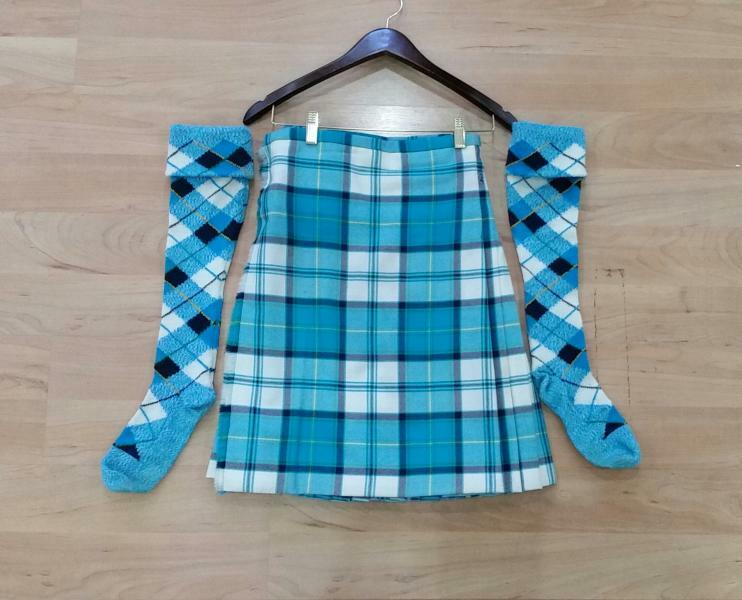 dance.net - Dress Yarrow - Turquoise Kilt and hose for sale - $450 US plus postage (10245881) - Read article: Ballet, Jazz, Modern, Hip Hop, Tap, Irish, Disco, Twirling, Cheer: Photos, Chat, Games, Jobs, Events! Hose: heel to top of cuff: 17 1/2 inches; Foot: 8 1/2 inches from heel to toe. DO you know the totally inches of waist this and Joe fit? What age was your daughter when she wore this? Also, would a royal blue jacket match?